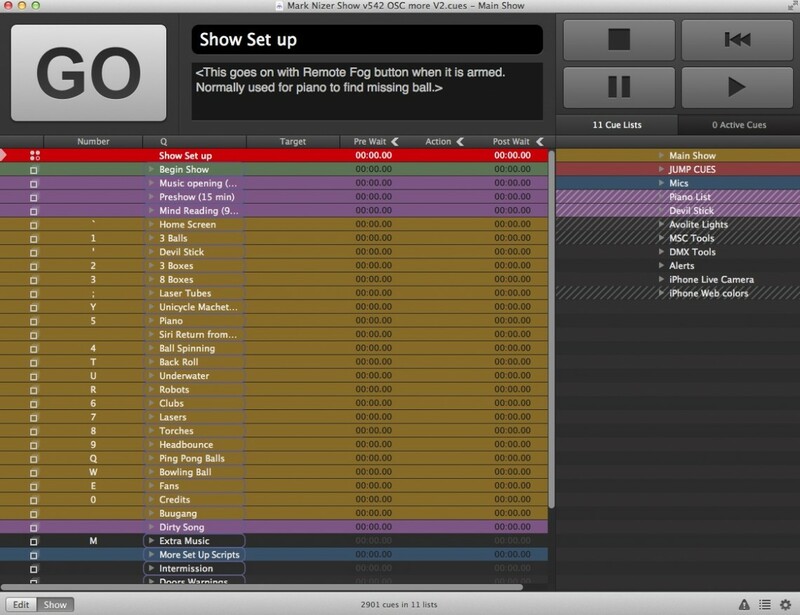 Be the first to send use a screen shot of your QLab workspace with more cues than this and win a FREE “The Cue” T-Shirt. This is a shot of our host. Mark Neisser’s (nizer.com) current QLab show file. Version 542!!! Can you beat 2900 cues!!!! ← What the HELL IS THIS??? ?